Featured Image: Clip from the Patterson Film, the most famous and controversial Bigfoot movie of all time. SOURCE OF CLIP: unknown. Rogers County Sheriff’s Department arrested three people in what appears to be an accidental shooting. One of the men told deputies he’d shot his friend while the two were on a Sasquatch hunting expedition. . . . Featured Image: Bigfoot from the Patterson-Gimlin film, alleged by Roger Patterson and Robert Gimlin to show a Bigfoot, and by some others to show a man in an ape suit. SOURCE: Patterson Film – youtube clip. We’ve been duped. Again. As usual. On Sept. 21, there was a Bigfoot Calling Contest at the Kinzua Bridge Festival in Pennsylvania. The next day, a man and his girlfriend reported they were leaving Kinzua Bridge State Park on a road bordering forest land when they spotted dark shapes back in the trees. The eyewitness noted, “At first they seemed to be moving towards us, and then they appeared to turn and head away at a slow pace.” They concluded the two dark shapes could be Bigfoot. This is a short documentary about the tribes of Sasquatch and it reveals the best,true evidence ever to be recorded and found!DNA as well as HD film of Bigfoot! Dont forget to see the squirrel running down the tree before bigfoot knocks it down and there might be a baby bigfoot in the nest! Bigfoot is real … maybe. After months of waiting for a peer-reviewed scientific journal to publish findings on the validity of alleged Bigfoot DNA evidence, the time has come for answers. But is there enough empirical evidence to finally confirm that the elusive, tall, hairy man-beast of North America really exists? Maybe, but questions have now been raised about the scientific journal publishing the findings. 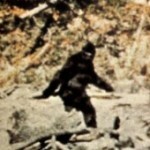 Illustration: The famous Patterson bigfoot filmed on October 20, 1967. CREDIT Roger Patterson. This is Part two of the Musky Allen interview with FBFB founder Jeff Andersen and Jack Barnes. This is likely the best thing that any researcher or enthusiast of Bigfoot/Sasquatch will ever hear. Painstaking detail of the examination of a Sasquatch. LOUISIANA, MO. — The Sasquatch-like creature stood tall like a man – just bigger, stinkier and hairier – cradling a dead dog under one arm and growling. The stench from ole’ Big Foot was horrific and sickening before the creature darted back into the rural Missouri woods. Or, none of that happened and teenagers punked the world. Documentary on the legend of Momo, the Missouri Bigfoot, done by a high school media tech/video productions class. This has to be one of the most controversial interviews I have ever done. Many times we have discussed Bigfoot on my radio show The Church of Mabus. We have gotten into them from a researcher’s perspective and had many enlightening discussions about them. I have always been a pro advocate against killing them. I have written articles about them being portrayed in horror movies cruelly and wrongfully as murderers. But now the shoe is on the other foot with Justin Smeja. Justin claims to have shot an older and younger Bigfoot while hunting.